Who’s in the mood for some beach fun on one of the most popular beaches in the world? I mean, Miami has it all – whether you’re looking for this clear, azure blue water which feels like a bathtub and is surrounded by millions of palm trees or you want something entertaining like a fancy beach party after having dinner in one of the famous open-air restaurants, you’ll definitively find it in South Beach. With its creamy yellow, pink and blue buildings, the ocean drive and neighborhoods like “Little Havana”, Miami is a great place to have fun while strolling around and exploring different spots. Of course, Miami also known for its sporty vibe and the great workouts on the beach – don’t you think exercising is so much fun if you have the ocean in front of you? 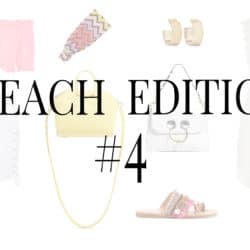 🙂 So fashion-technically, you’ll definitively need a bikini – or probably more of them – a sporty outfit to workout or have a nice yoga class and last but not least, you’ll need some easy, casual looks to explore the streets of South Beach while eating a yummy ice cream. So I hope you’re all ready to head to Miami Beach now! 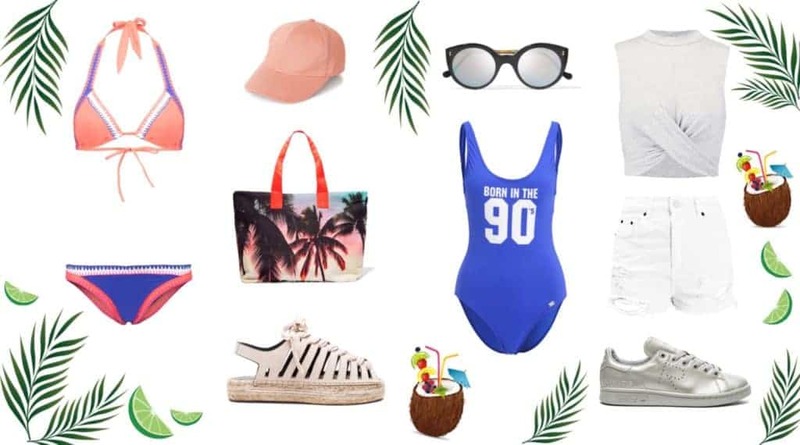 Apparently these outfit ideas are also appropriate for other destinations. They’re just inspired by the American beach vibe. 🙂 Let me know where you spend your summer holidays, I’m so curious! Have a great rest of your week my sweeties, see you on the beach! 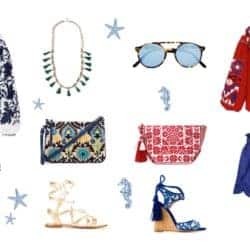 Posted in Trendy Tuesday and tagged Accessories, America, Beach, Fashion, Inspiration, Miami, Musthaves, Spring Summer 2016, Style, Summer, Things to love, Tips, Topshop. Bookmark the permalink. Wenn ich in Miami wohnen würde, wäre mein Outfit of the day jeden Tag einfach ein Bikini!!! Vor allem der Badeanzug und der Bikini von Kendall & Kylie würden sofort in meinen Kleiderschrank wandern! Love those picks! Especially the sunglasses. Toller Post, gelungene Auswahl, mir gefällt ja die Plappertasche oben ganz gut und das Top 4 von Topshop unten ist der Hammer. Great pick Carmen! Have a nice day! Thank you very much Violette, have a nice day too! Beautiful collages! Miami Ocean Drive is my favorite. I was born in the 90s 😉 I spent part of my summer in Orlando! Definitely want to visit South Beach one day. Amazing post, love this collage! Love the Miami beach inspo, it looks so bright and happy! I love your swimsuit picks! Thanks a lot Jo, I’m happy you liked it! I am loving all of these amazing choices. I especially love that blue swimsuit. I can totally see myself lounging in that by the pool. Loving this post. That’s so sweet, I’m happy you liked it Kia! Du hast mit deinen beiden Collagen die Miami Vibes super eingefangen! *-* Da sind echt einige tolle Teile mit dabei! 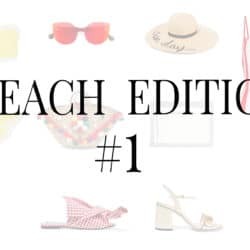 These are all perfect for the beach. Great choices! That blue swim wear will have me looking like Pamela Anderson on bay watch. Lol! Der Post ist echt klasse gemacht mit den Collagen, ist dir wirklich gut gelungen! Vielen Dank liebe Tatjana, wie süss von dir! Loving those bikinis! So cute. Need those Rebecca minkoff espadrilles in my life! Haha, so great you liked them!